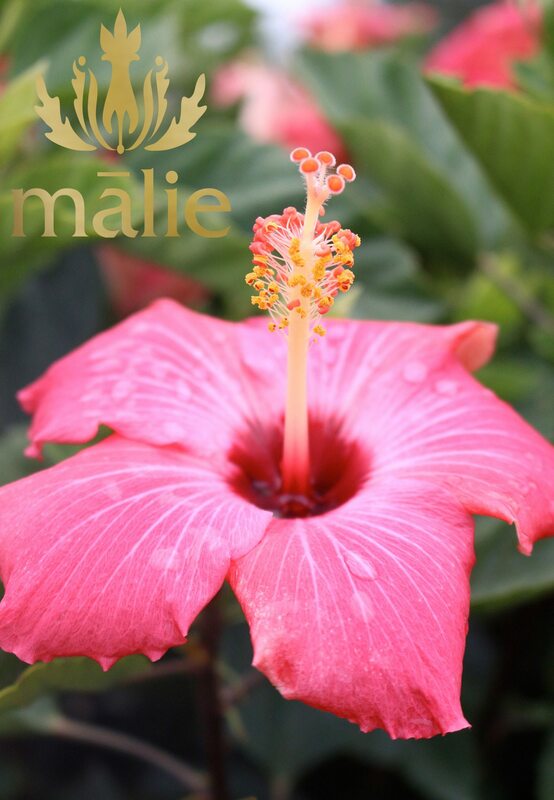 The sweet scents of tropical Hawaiian flora thrive inside the beautiful packaging of Malie Organics products. 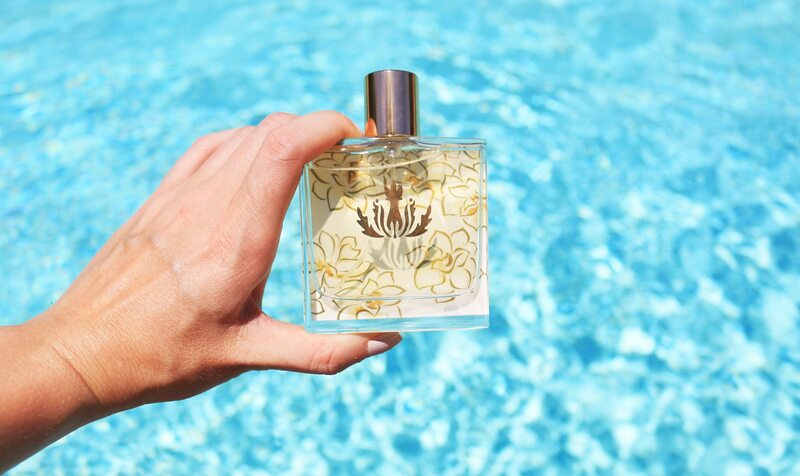 The soothing aromas can be described as luscious, serene and romantic – or simply as happiness in a bottle. 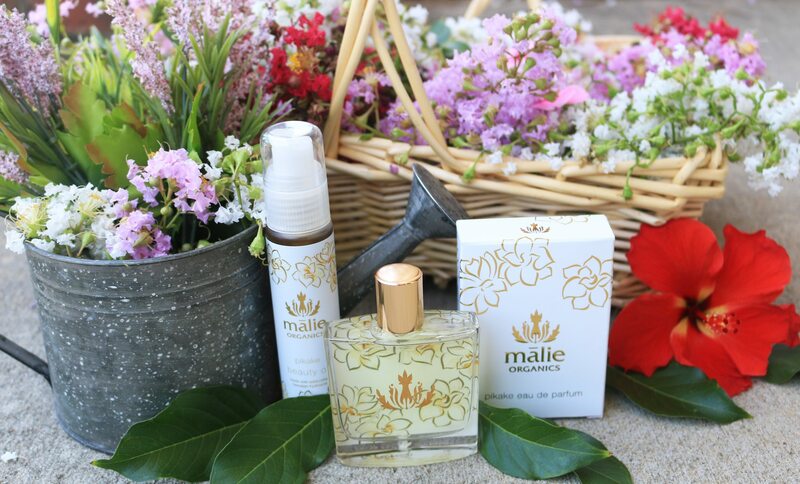 Pronounced mah-lee-ay, Malie Organics takes its inspiration from Hawaii’s natural landscapes and relaxed lifestyle. 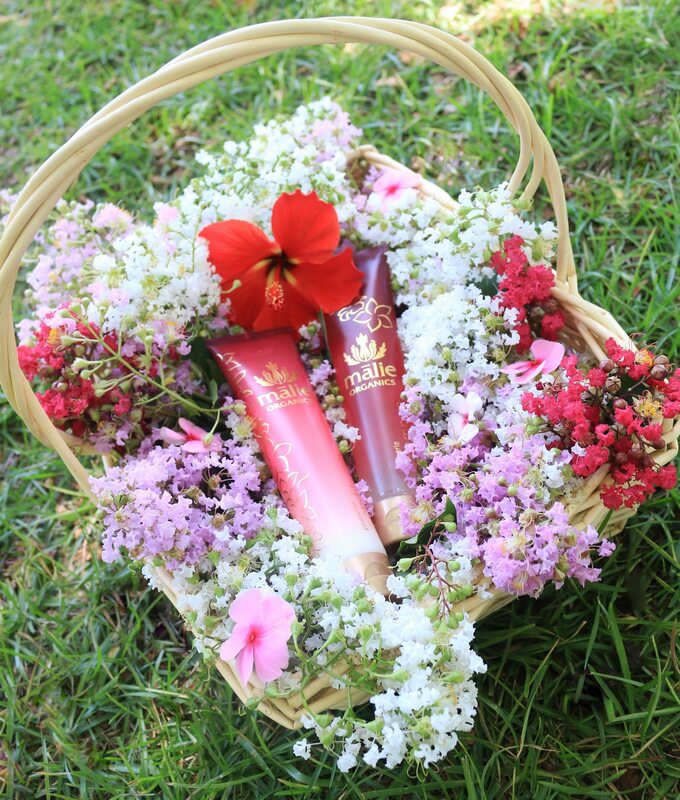 The all-natural and organic beauty products truly embody the magnificence of Hawaii. When I first sprayed the Eau de Perfume in Pikake I closed my eyes and immediately imagined myself beneath a waterfall tucked away in the rainforests of Hawaii. Paired with the Beauty Oil in Pikake, I felt and smelled like a basket of flowers! The beauty oil (Vitamin E oil, additional beneficial oils and a darling aroma) leaves your skin rejuvenated and you can even use it in wet hair to give it a beautiful shine and scent. After using the Shampoo and Conditioner in Plumeria, my bathroom smelled like a botanical garden and my hair looked as luscious as ever! I have used many Malie Organics products and my favorites are the body polish, the candles and the beauty oil. Read on to learn about the authenticity of the brand – after all it uses natural Hawaiian flora for every single product and scent! 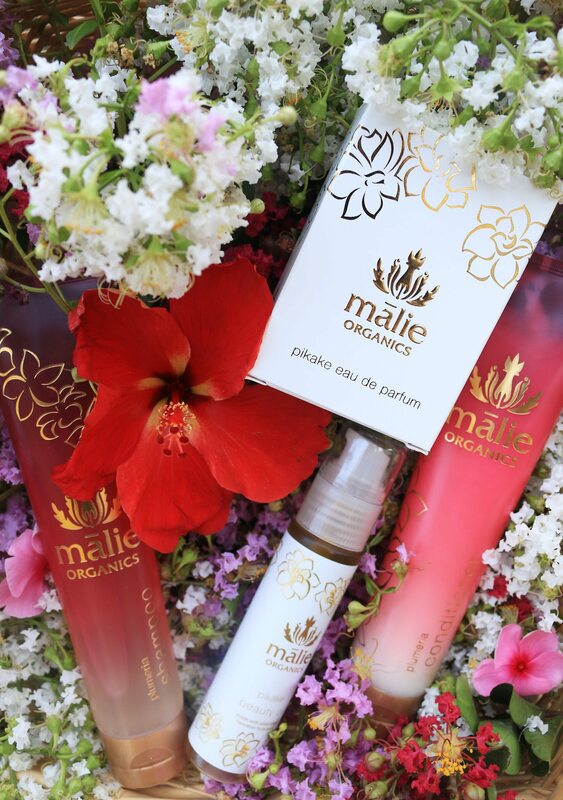 The most unique aspect of Malie Organics is that the brand only uses indigenous and local Hawaiian flora to create its extraordinary line of lotions, shampoos, soaps and more. After all, the flourishing rainforests of Hawaii offer the purest and most fragrant flowers in the world! The products have a wide range to suite all of your needs, and you can shop for anything and everything from home to body, and even spirit. 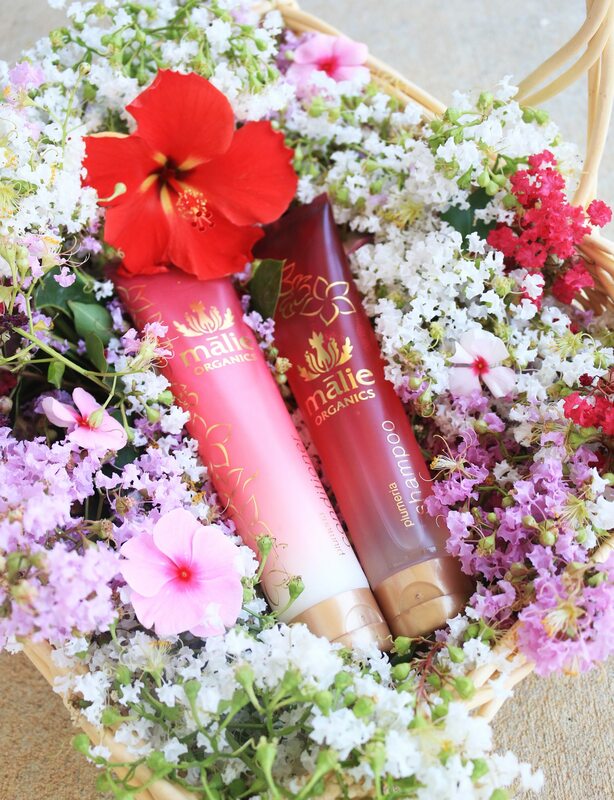 The scents smell so good they will instantly lift your spirits and transport you to the exotic landscapes of Hawaii – the beach, sand, lei and all! My favorite part about Malie Organics is that every ingredient in Malie’s products is safe and nontoxic, with absolutely no petroleum, mineral spirits, sulfates or parabens. The brand has a strong commitment to its consumer’s health, well-being and the environment. Malie Organics only uses all-natural, organic and wild-crafted ingredients. In addition, Malie does not test on animals or use animal products. 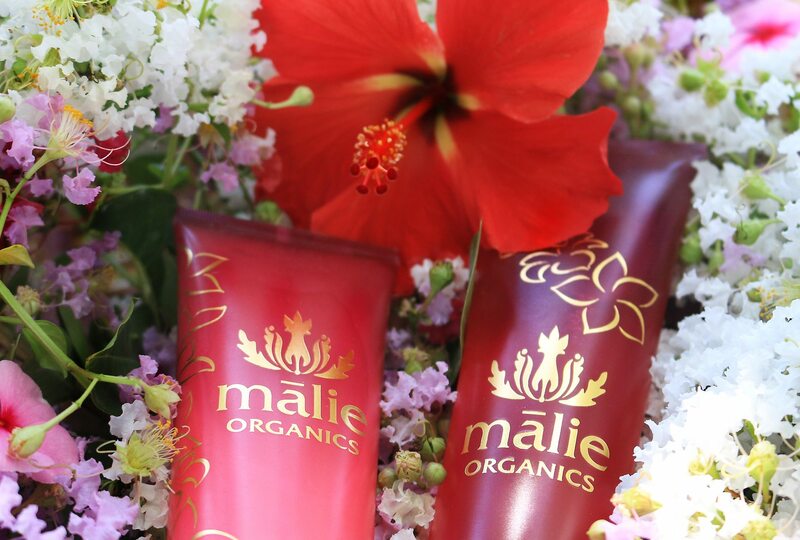 Malie Organics’ ingredients range from cultivated organic harvests to the rare, wild-crafted plants of Hawaii’s rainforests. All of the ingredients are sustainably grown, ensuring constant renewal. All of the products are made in the USA, drawing on the talent and time-honored traditions of local artisans who created the beautiful art on the packaging. As you can see, this brand offers a unique and fresh perspective on beauty products. It is difficult to describe a scent with words, but you will have to trust my honest opinion that these are the best smelling oils, lotions and bath products that I have ever come across! Scroll down to see how I styled the products in a photo shoot. I had so much fun gathering flowers for this shoot and I am very proud with how the pictures turned out! 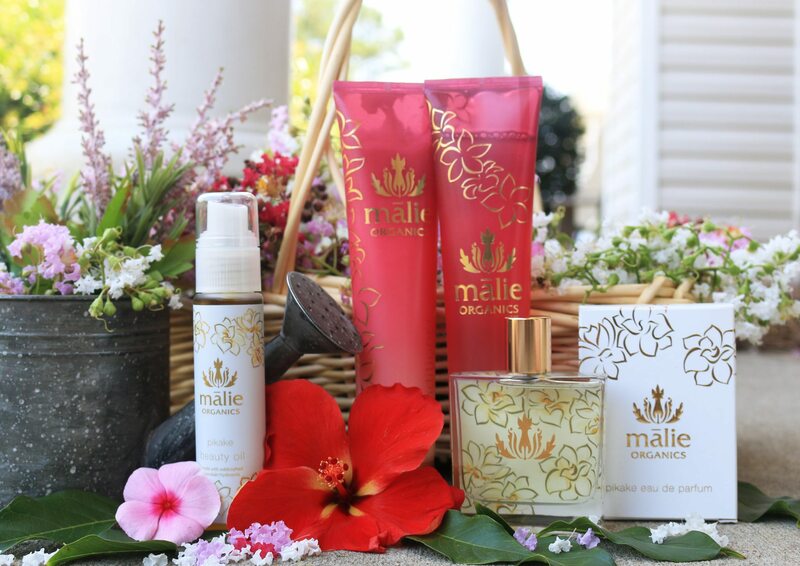 Shop Malie Organics products by scrolling to the bottom of this post! 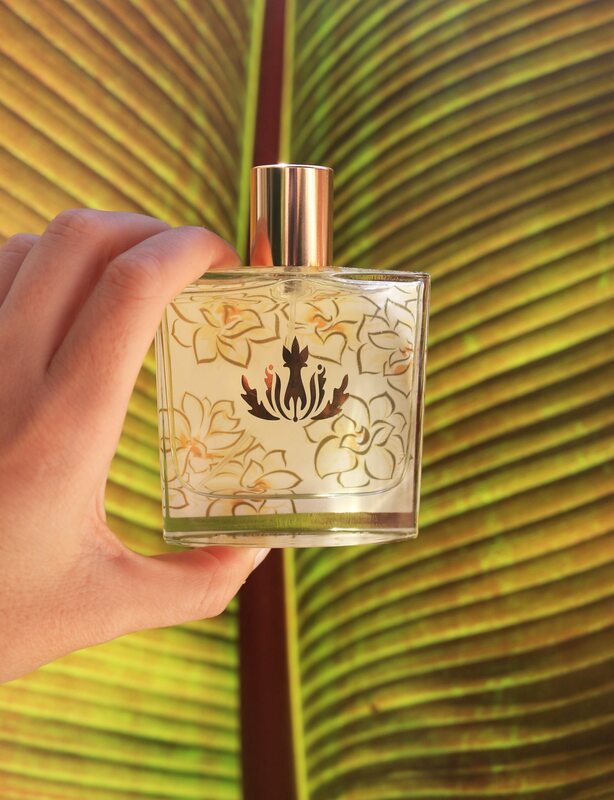 Tell me in the comments below, what is your favorite tropical scent? Thank you! I really enjoyed taking pictures and gathering flowers for this shoot! Impeccable taste ~ so lovely. These are GORGEOUS photos! And I love the smell of Hawaii! Definitely have to check them out! It was really fun to get creative with this shoot. I’m so happy you liked it! Thank you! Their products truly are amazing! I’ve loved everything I’ve gotten from them. Sounds like these smell so good, I have to try it!! Your photos look amazing babe! Congrats on the collab! Gorgeous packaging. And I bet t smells amazing. Being from Hawaii I love anything that can transport me back there. Wow, these photos are so gorgeous, and I love their packaging, especially the perfume bottle. I’ll be sure to check it out next time I’m in need of a tropical vacation! The name Malie alone ( automatic hell yes, my new baby niece’s name) Mom is from Hawaii and I had know idea they had a beauty product line by the same name. I know I keep telling you, but I am seriously going to try these! I want to be taken away to a Hawaiian waterfall! Thanks for sharing your honest opinion and these lovely products! Girlll you will be obsessed. Every time I use them I truly get to happy, the scents are magical! Beautiful photos-I bet these smell amazing!! I love that this brand uses products from Hawaii! This must smell so AMAZING! Love love. Yaas girl! They smell SO GOOD! Sounds like an awesome brand!!! ???? I can’t wait to try their products! Enjoy reading your blog and your pictures are always stunning and natural. Taylor, you had me at the very first paragraph – I want to try everything from this brand now, lol. I am addicted to skincare and perfumes with flowery scents; plus, I simply love the fact that it’s produced locally in Hawaii and is free from parabens. Thanks so much for sharing and have a beautiful long weekend! I wish this post had a scratch and sniff button or something! You would adore the pikake scent! I’ve never tried this brand but now I want to! Hadn’t heard about them, but the products seem great. Pretty pictures! I love anything that reminds me of Hawaii, especially any smells <3. Your photos of the products are stunning! So happy to have stumbled across your blog! Great post! Love this! Your photos are simply stunning darling. Thanks for sharing! Wow sounds amazing! I must try!!! You would love these products! Thank you Mercy 🙂 I had so much fun styling these products with the flowers! I can totally imagine the beautiful fragrance of these products. I look forward to trying them oit for myself. Thanks for the informative post. I need to try these!! This product looks awesome. These products are so amazing!